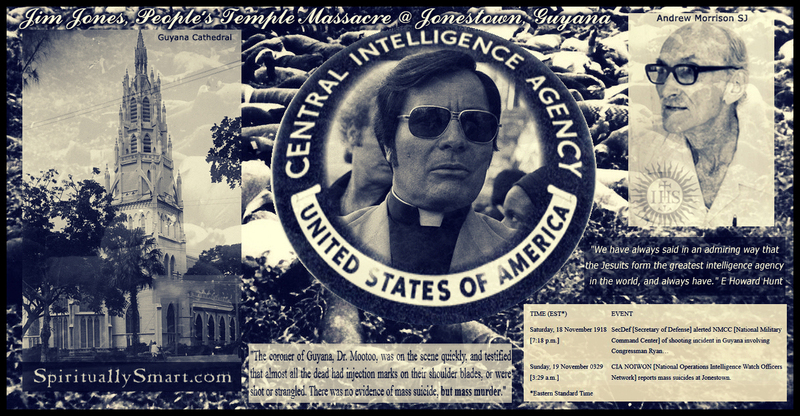 The "suicides" (murders) of the Peoples Temple members was on November 18, 1978. 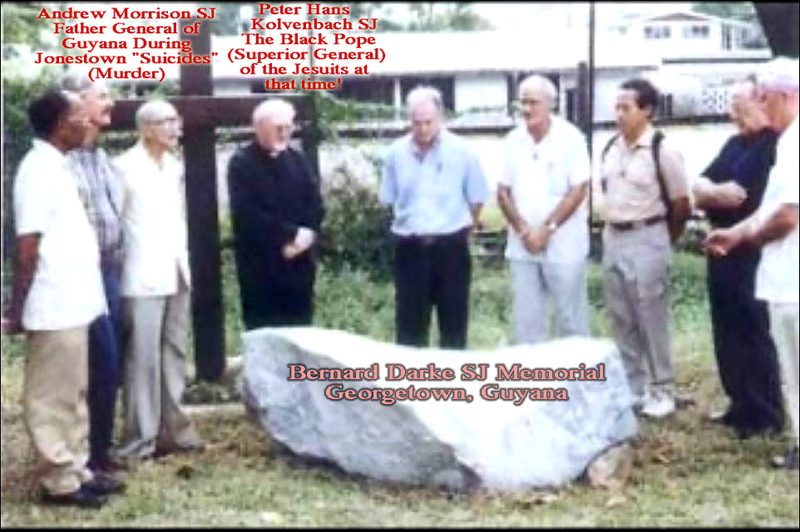 Bernard Darke, a Jesuit priest and photographer for the local Catholic Standard Newspaper was stabbed to death 8 months later by another group labeled "cult" by the Catholic CULT. Alberto Rivera Stated that Cult Leader Jim Jones was a Jesuit under the Jesuit secret oath. This web page is a result of myself putting Rivera's words to task. What I came up with were some intriguing results! Jim Jones and Jesuit trained Jerry Brown when Brown was governor. Jerry Brown actually trained to be a Jesuit Priest. Jerry brown is the current Attorney General of California (11/18/2008). Check this out for more Jerry Brown - Jesuit info and Pictures. The Government Information Agency (GINA) joins in paying tribute to a fearless fighter for press freedom, Father Andrew Morrison, S.J. Rev Fr Andrew Morrison selling his Catholic Propaganda. Quote from the book: "The People's Temple had established their commune in the North West District near the Venezuelan border in 1974. little was known about them in Guyana, except that they had come from the United States to establish an Agricultural Mission in the jungle to help with the Government's "Grow More Food" campaign. This was the story put out in glowing terms by the Government controlled press." As you can see from the above quotes that this Jesuit didn't like the People's Temple from the start. You see, the Jesuits had been busy trying to overthrow the current government because they had broken away from Britain in 1966. and remember, this Jesuit was an English MI6 agent. I was amazed to see this admitted in a mainstream newspaper. they added a lot of propaganda at the end but it still tells you a lot. Notice how they are wanting his son/her brother freed. they are talking about larry layton, the only one prosecuted for the Georgetown airport landing strip which supposedly killed a Congressman and 3 others. He did get paroled in 2002 I believe. Imagine that. After killing 4 people of which included a Congressman! !